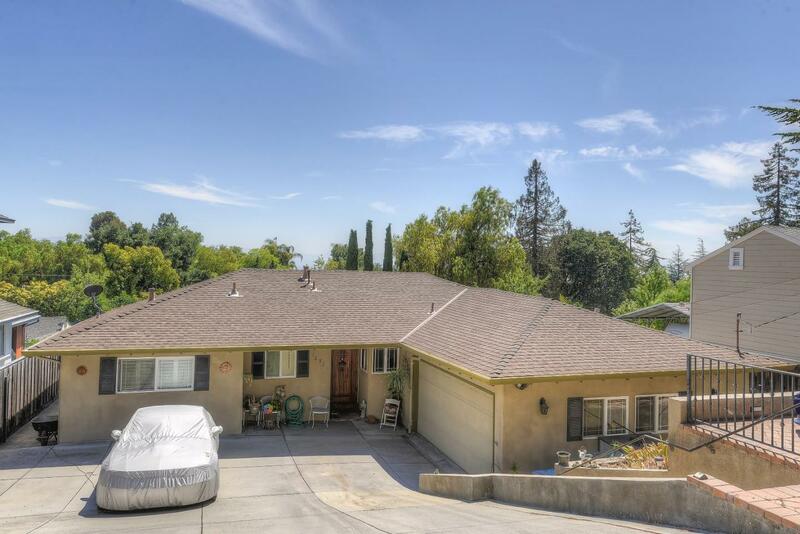 CHARMING EAST SAN JOSE FOOTHILLS HOME SURE TO PLEASE! Quiet street, you'll love this 3BR/2BA home with spacious kitchen, air conditioner, fireplace, nice paver patio and some foothill views makes this a winner and affordable pick in the hill county. Clean, light and bright, this home just needs some TLC to make this sparkle! Skylight in home, a 2 car attached garage, spacious and maintained cement drive way and ease of access. Extra street parking. Bring your hammer or contractor and make this a winner! Room for pool, hot tub, deck, and more. Nestled amongst larger homes, you are close to Alum Rock Park, Grant County Park, San Jose County Club, foothills, stores in a serene neighborhood with the views, deer and wildlife. Seller reserves the right to accept or reject any offers. This is the best home value in the foothills so why buy on the flatlands when you can buy in the foothills!